The concept of “Silent Saturdays” is an annual focus on my kids’ youth soccer calendar. It’s typically a day on the schedule that is highly promoted to parents and coaches. The idea is for parents to sit on the sidelines and watch the game. And to let the children playing on the field participate free of commentary. No cheers, no encouragement, and, most importantly, no coaching. It’s an incredibly simplistic idea, but I’ve always been amazed at the change in the emotional atmosphere of the game experience. During that one game, you see the kids more clearly because you can truly hear them and only them. One year, after the fall soccer and winter basketball season had ended and we moved into the baseball season, I decided I would try the concept on my own. 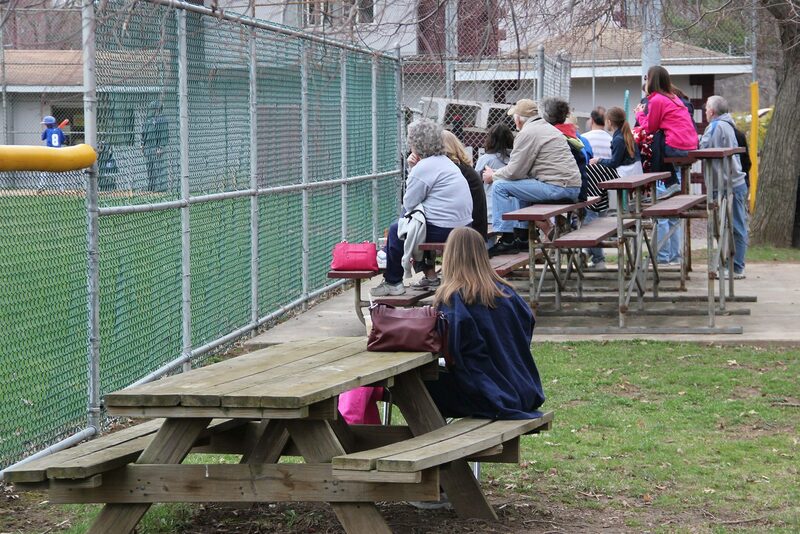 I became the silent mom in the bleachers of my son’s Little League games that season. With all my might, I was quiet. Instead of hearing myself cheering (or admittedly at times, coaching), I focused on watching and listening. What I began to hear was quite incredible. I began to really hear my son and his teammates talking. I heard them cheering. I heard them strategizing. I heard them laughing. At times, they were stressed and would say things off the cuff – learning that emotions sometimes get the best of you. They were encouraging each other and they were coaching each other as much as they were being taught by their own coaches. Perhaps most importantly, they were interacting with each other as a true team does when you begin to know and understand each other. Oh man, that was so close. You’ll get it next time. Come on, we need this hit. Do you want to go get pizza after the game? These were kids, having fun and learning to love the game together. That spring was a full season of unfiltered comments that demonstrated to me the power of team sports and kids learning to work together. No doubt life skills that will carry them through. And if I wasn’t focused on listening, I would have missed them. As a parent, guardian, family member, or friend, we are constantly challenged to be a role model for our kids, even in the bleachers. We want to be encouraging and helpful, yet with our whole heart, we want them to succeed. The struggle though, is also to determine the balance of when to be more encouraging and when to just be silent and let the lessons sink in on their own. The season-long experience of being silent taught me so many things about my son and the type of teammate (and person) he is becoming. From seeing my son develop friendships to seeing him show respect for his coaches. But to also see how children encounter frustration and how they need help to process challenging situations and communicate appropriately. But it taught me as many lessons about myself and the type of parent I want to be on the sidelines. I’m back to cheering, and still coaching a bit from bleachers, but I’m more measured about the types of comments I make and when I make them. As you sit on the sidelines or on the bleachers of your child’s next game, give it a try. Turn up the volume and listen. You may be surprised at what you hear.